Step 1: Simply fill out our easy to use online form and select which agencies you would like to change your address with. Our Moving package will assist you with changing your address with the US Postal Service, IRS or the Bureau of Motor Vehicles. Step 2: We will determine the correct forms needed for your specific move and generate them. Step 3: Pay a one-time $20 online change of address moving package fee to access our moving assistant resource center for 6 months. Step 4: We will provide you with your customized moving resource webpage link containing all required forms to successfully complete your change of address via the email address provided as well as on screen immediately after payment. Online moving checklist and our exclusive E-Book included so you don't forget anything during your move. 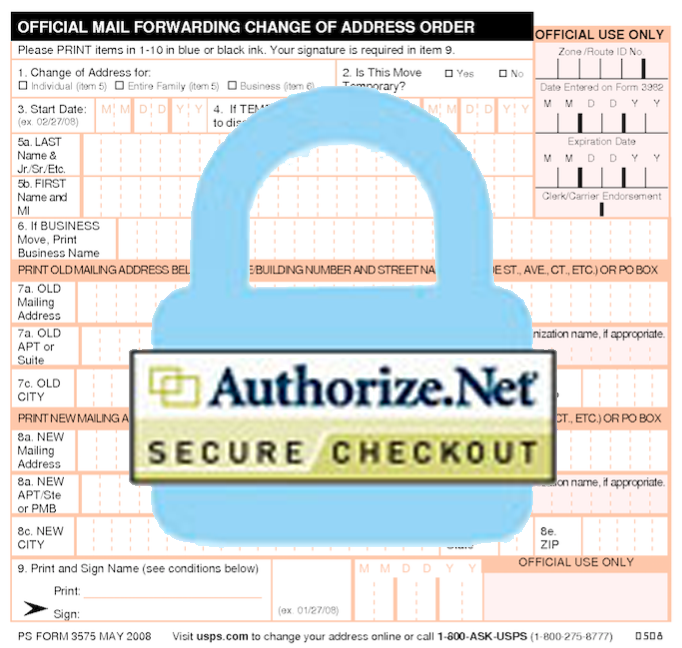 Additionally you can self file directly with the USPS or at your local post office. We also offer mail-forwarding service and moving assistance as well as discount offers on local services in many different areas, we will email you a list of the special offers in your area one time after submission to help you make the move a little easier.